Anihan Technical School 2015 graduate is a junior sous chef and assistant kitchen manager of The Pig Pen. Anihan 2015 graduate, Maria Joshua Canua, is a Junior Sous Chef and Assistant Kitchen Manager of The Pig Pen located in Nuvali, Sta. Rosa, Laguna. 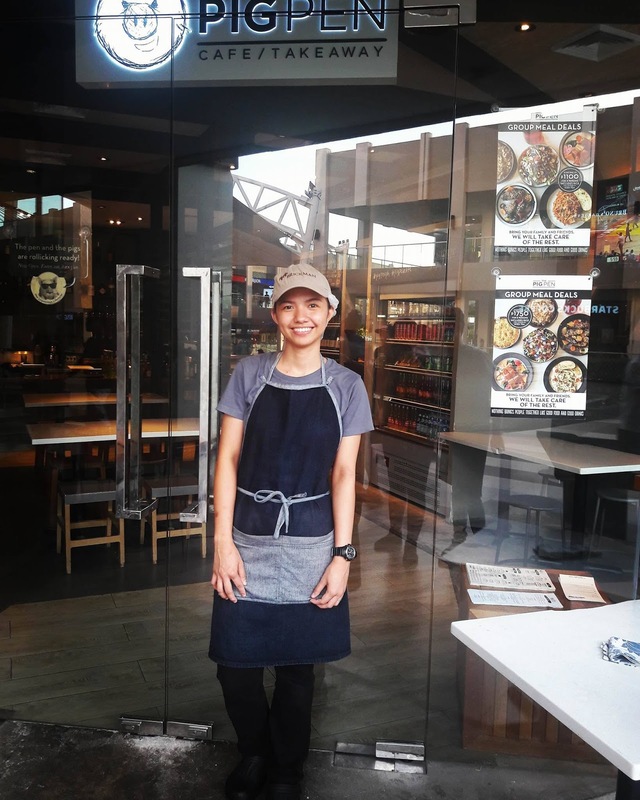 Maria Joshua, or Josh, started working in The Black Pig in Alabang right after she graduated in March 2015. Before the year ended, the same company opened another restaurant and called it The Pig Pen. The Pig Pen offers casual dining of Asian and European fusion. Joshua was soon assigned there in the position that she is holding now. While studying in Anihan, Joshua did her on-the-job-training in Makiling Conference Center in Calamba. She is one of the academic excellence awardees in her batch and gave the address from the graduates during their commencement exercises. Josh is from Milagrosa, Calamba, the same area where Anihan Technical School is located. Her older sister works in Anihan's Livelihood Center and helped Josh in her studies because their father is already retired their mother is a full-time housewife. According to Josh, having my certificates in Food Service and the formation that I have received..., Anihan gave me courage to do things which help me develop my personality and become a good professional. I am blessed because receiving formation has helped me to widen my perspective in life, which I can use in my work.